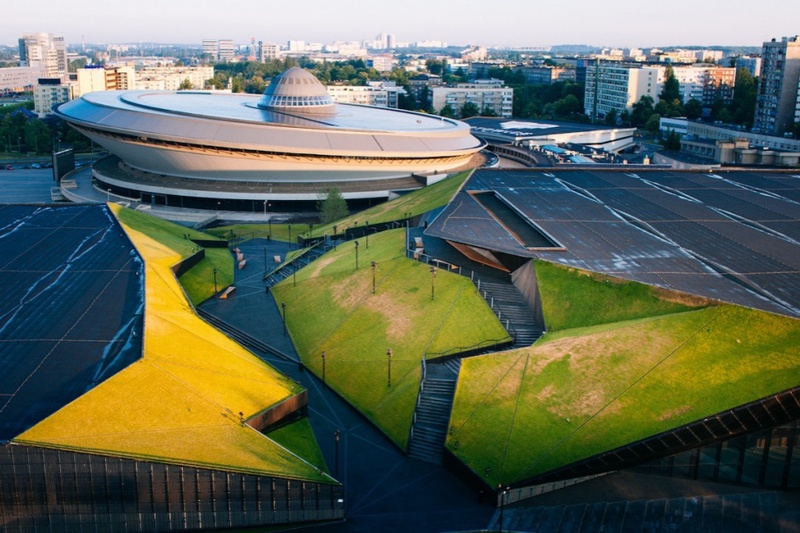 More than 20,000 people from 190 countries are set to converge in the southern Polish city of Katowice for the UN Climate Change Conference. The Katowice Climate Change Conference is the 24th session of the Conference of the Parties (COP 24) to the UNFCCC and will take place 3-14 December. The conference is expected to finalize the rules for the implementation of the 2015 Paris Agreement on climate change under the Paris Agreement work programme (PAWP). It will also include a number of high-level events, mandated events, action events, and roundtables. A delegation from Peace Boat and Ecoship will travel to take part in COP24. Peace Boat will host an event in the Pacific and Koronivia Pavilion titled ‘Youth Engagement for Climate and Ocean’ during Youth Day, December 6th. The event will focus on accelerating solutions through education, training and public awareness with an emphasis on the role of youth, from Small Island States to the Arctic. It will introduce Peace Boat’s Ecoship as a flagship for climate action and the Ocean and Climate Youth Ambassador Programme which brings together young leaders from islands on the front line of climate change and ocean degradation onboard Peace Boat’s ship. Youth engage with civil society and government representatives to call for climate action. The third edition of the programme that it will take place May-June, 2019 which be launched in collaboration with partners. Peace Boat is honoured that speakers will include H.E. Mr. Ronald Jean Jumeau, Ambassador for Climate Change and Small Island Developing State Issues, and Permanent Representative to the United Nations of the Republic of Seychelles; Ms. Genevieve Jiva, from the Pacific Islands Climate Action Network and Peace Boat’s Ocean and Climate Youth Ambassadors and Mr. Pétur Halldórsson, Young Icelandic Environmentalists, founder of the Arctic Youth Network. The event will take place at 1.45 – 2:45 pm. For the duration of the two-week conference, Peace Boat will have a booth (Number 127) in the exhibition area to showcase our activities and projects. This booth will be held in collaboration with one of our partners, Global Kids. This New York-based non-profit educational organization for global learning and youth development works to ensure that urban youth have the knowledge, skills, experiences, and values they need to succeed in school and achieve leadership both in their local communities and on the global stage. In the days preceding the conference, Peace Boat is proud to participate in an initiative to create awareness at the international level on the importance of acting now against climate change, ‘Moving for Climate NOW’ organized by the Spanish United Nations Global Compact Network and the Iberdrola group. A group of experts and activists will travel almost 600 km on electric bicycles from Vienna to Katowice to deliver the initiative’s Manifesto to the United Nations Executive Secretariat for Climate Change. The team started its ride on 26 November from the headquarters of Sustainable Energy for All (SEforALL) in Vienna. Two members of Peace Boat are participating in the rally with a common objective: to raise awareness regarding the importance of the climate challenge, to unite efforts from all spheres and to act with ambition and urgency to halt the problem.